I read a lot of nonfiction related in one way or another to genealogy and my personal family research. And I watch just about anything on television that connects to genealogy or my ancestral roots. Over the years, though, one book and one TV documentary have impacted me more than all the rest combined: The Seven Daughters of Eve by geneticist Bryan Sykes (2001) and Journey of Man, featuring geneticist Spencer Wells (PBS/National Geographic, 2003). Sykes and Wells are leading world authorities on DNA research. The Seven Daughters of Eve focuses on mitochondrial DNA, or mtDNA, which is passed down matrilineally—from a woman to her daughter, to her daughter, to her daughter, generation after generation. Journey of Man traces Y-DNA, which is similarly passed down, patrilineally, from a man to his son, to his son, to his son, and so on. Both of these ground-breaking works look at the big picture: the evolution of the human species over thousands of years, through migration out of Africa and across the planet. Genealogy writ large. I am not going to go into detail here about the substance of either Seven Daughters or Journey. Much has been written about both of them. 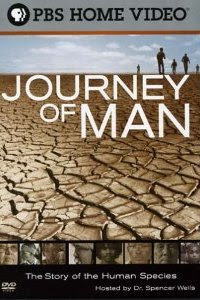 When I Googled the titles earlier today, I noticed, for instance, that Journey of Man is available for viewing (in 13 segments) on YouTube. There is a plethora of material available now about DNA research and its significance for genealogy. I've read a number of the popular books, and I've attended numerous workshops on this topic. I am not by nature scientifically inclined, so much of the material seems dry and does little to increase my understanding. The Seven Daughters of Eve and Journey of Man, though, captivated me. There is a mythic quality about The Seven Daughters of Eve that engages me. Sykes's research (later expanded upon) led him to conclude that people of native European descent trace their ancestry back to one or another of seven women whose mtDNA mutated from their mother's. These seven mutations occurred thousands of years apart, between 45,000 and 10,000 years ago. Each was a turning point that created a new haplogroup of mitochondrial DNA. Sykes envisions these seven women as "clan mothers." He christens them each with names—Ursula, Xenia, Helena, Velda, Tara, Katrine, and Jasmine—and describes their probable lives and times in their respective regions of Europe and the Middle East. This is science as Susan Seddon Boulet might have painted it. I can imagine the Seven Daughters' stories being told during ceremonies deep in the caves of Lascaux with flute music echoing from yet-deeper caverns. But that's just me and, as I have to emphasize, I'm no scientist. If The Seven Daughters of Eve takes you into the dreamtime, Journey of Man lurches you onto the frozen tundra with a backpack of test kits. Spencer Wells is a high-energy genius who seems like he'd be equally comfortable analyzing lab results or summiting K2. A book was developed from this documentary, but this story is such an amazing adventure, and certainly so visual, that this just might be one of those rare times when the film trumps the book. "Blood was the time machine, and we were the time travelers," Wells says as he explains the research that took him visiting isolated tribes and populations all over the planet to trace the Y chromosome and explore how everyone—everyone—is related. One of my favorite scenes is in Kazakhstan, which you can see in Journey of Man: A Genetic Odyssey (Part 9 of 13) on YouTube. This documentary rocks. Bryan Sykes and Spencer Wells, more than anyone else, brought DNA and genetics to life for me. Their work made traditional paper-trail genealogy seem like a very tiny, limited view of the real story—the really great story of human evolution and migration. 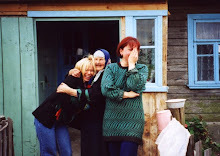 They linked my passion for genealogy with my lifelong interest in anthropology. They opened doors that beckoned me inside, ready to swab my mouth for saliva (thankfully, no blood samples required!) and learn how my ancestors and I fit into this amazing journey of man and woman across Planet Earth. And what I've learned from my family's DNA tests intrigues me even more. It's our own journey, evolution and migration writ small.